Appearing at the Wood Fuel Conference in Surrey Hills, Matthew Woodcock set out the raw figures showing why he's optimistic that South East England can help to reduce its carbon emissions from fossil fuels. Mr. Woodcock pointed out that the South East is a relatively wooded region and that a quarter of all England's woodlands are in the South East and they cover over 15% of the land area. Assuming that two thirds could be got into active management, he reckons that 1,000,000 cubic metres of woodfuel could be produced every year, which would create enough heat for 100,000 homes (or even more if homes were made more sustainable with insulation and similar measures). The challenge according to Matthew Woodcock is to revive the whole sector - for many years, the south eastern timber industry has been in decline and many firms have gone out of business and even the advanced age of many forestry workers is a serious issue. The decline in woodland management the South East of England is illustrated by the figures - the annual growth in woodlands in terms of added volume is about a million cubic metres of which less than a third (300,000 cubic metres) is harvested and half of that is done by Forest Enterprise (The Forestry Commission's logging operation). Much more could be done to rejuvenate the sector, says Matthew Woodcock, and he praised some of the existing sawmills and processors (such as Giddings in the New Forest, which organises for its waste to be turned into pellets as wood fuel for domestic heating). Mr. Woodcock made clear that broadleaved woodlands are every bit as good as softwood plantations for firewood use. Whilst softwoods grow twice as quickly as hardwoods the same volume of softwood timber produces only half the heat. For hardwoods, which are much denser and heavier, the transport and handling costs are less onerous for firewood merchants and for the end users. Looked at in terms of yield, a hardwood forest will typically be "yield class 4" which means that in every hectare (about 2.5 acres) the volume of timber added each year is about 4 tonnes. So an owner of a 5 acre wood in South East England is growing about 8 tonnes of useable timber every year. In some cases, such as sweet chestnut the yield is about twice as much, though it's not a particularly good timber for firewood. According to Matthew Woodcock there are lots of other uses for timber which owners could look at and he gives examples of supplying faggots for flood defences or small diameter wood for construction projects - such as the chestnut buildings at Flimwell in East Sussex. Many existing streams of wood are now being used more effectively and sawmill waste, arisings from tree surgery, hedge cuttings and heathland surpluses all contribute. 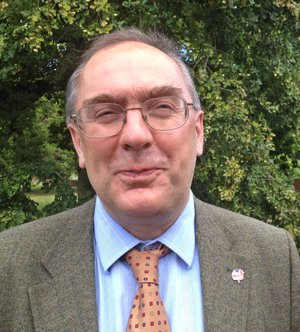 Thinking further forward, he argues that when new woods are being created they should be planted with woodfuel in mind. in summary the South East's wood resource offers a sustainable source of wood fuel, offers more energy security and increased employment opportunities - and there is lots more work needed to develop South East England's woodfuel markets. We own two adjoining woods in 14 acres on the Somerset/Devon border. Our predominate species is Birch which we are felling within the quantities that do not require a felling licence. 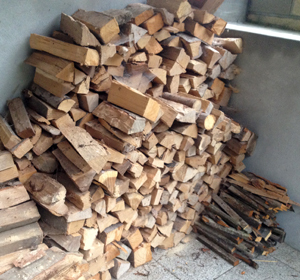 We are a family business company from the north of Spain which sell firewood in our area and we would like to broaden up our business and start selling wood to wholesalers in England. Could you give us some guidance in this matter?